Today’s news review looks at the Dispatches programme on academies and coverage of Lucy Powell’s speech at Teach First’s annual Impact conference today. Yesterday, 25 July, Channel 4 aired a documentary that looked into the academy programme. In particular, it examined the financial structure of academy trusts and pupil turnover. We are clear that our plans, which have academies at the heart, are raising standards for children across the country – over 1.4 million more children are now in good or outstanding schools compared to 2010. Academies are charitable organisations, cannot make a profit and are subject to stricter oversight and accountability than council-run schools. One of the strengths of the academy system is that where issues of any kind are identified we can take swift action. All academies related party transactions must be disclosed in their ‎audited accounts which are published - this is not the case for local authority schools. Where concerns are raised we will investigate, however in the vast majority of academies transactions none have been. In fact related-party transactions can save money allowing schools to use resources more effectively. As a result of enhanced EFA oversight of academies, we have considerably more financial information about them than we ever had for maintained schools. The rules around exclusions are clear for all schools - any allegation that they are being used to discriminate or to try to manipulate results would be a serious matter and investigated fully. However, there is no evidence to suggest this is a widespread issue or that it is more likely to happen in an academy. Anyone with evidence to show this is the case should submit it to the department. Today, 26 July, former shadow Education Secretary, Lucy Powell, will give a speech at Teach First’s annual Impact conference. 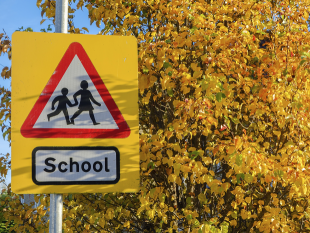 Ahead of her speech Lucy Powell has called on Education Secretary, Justine Greening, to focus on teacher recruitment rather than spending time looking at the future of grammar schools, which has been speculated on in the media recently. Ms Powell will also mention new figures obtained under FoI that relate to schools’ spending on advertising vacancies. We are already helping schools to advertise vacancies more easily, and investing millions of pounds to attract the best and the brightest into the profession. Schools Week and the Guardian published pieces online on the speech. The number of teachers in our schools is at an all-time high – 15,000 more since 2010 - but we recognise there are challenges. That's why we are investing millions of pounds to attract the best and the brightest into the profession, helping schools to advertise vacancies more easily and expanding Teach First to get more top graduates teaching in some of the most challenging parts of the country. By supporting schools to recruit and retain the high quality teachers they need we will ensure every child has an equal opportunity to reach their full potential.